When Google announced Android Froyo v2.2 at I/O 2010, the new features had the audience erupting in cheers. But that wasn’t all, Google had another surprise: the company choose to give every attendee a HTC EVO 4G smartphone with a month of Sprint service. However, there was unfortunately one quirk. Vic Gundotra, VP of Engineering at Google, carefully noted that those units wouldn’t ship with the new OS until “later in the year.” Since then, the Android community has frantically been begging, pleading, and waiting for a device running Android 2.2. Developers, hackers, and geeks have managed to install custom Froyo v2.2 ROMs onto certain Android devices, but an official release of the new version has been hard to come around. Until now, the only device that officially supports Android v2.2 is the now-discontinued Google Nexus One. Fortunately, that’s all about to change starting next week. HTC EVO 4G owners will begin receiving the Android Froyo v2.2 update over-the-air. Initial reports indicated that an update wouldn’t become available until the end of the year since it was taking HTC a long time to rebuild Sense UI, but Sprint has put those rumors to rest with an official press release. Beginning on August 3rd, notifications for the update will appear on waves of devices. For those that choose to opt-in early by checking for updates in the settings menu, the new version will be available as early as August 1st. While those are a few notable features, it’s not everything that Froyo v2.2 will bring. According to a Google representative, the new version will improve battery life, multitasking, and performance. HTC is even bundling in a set of new widgets including a flash light app. Unfortunately, we won’t know the full extent of the specific changes until a developer change-log becomes available, but that’s bound to hit the web anytime. 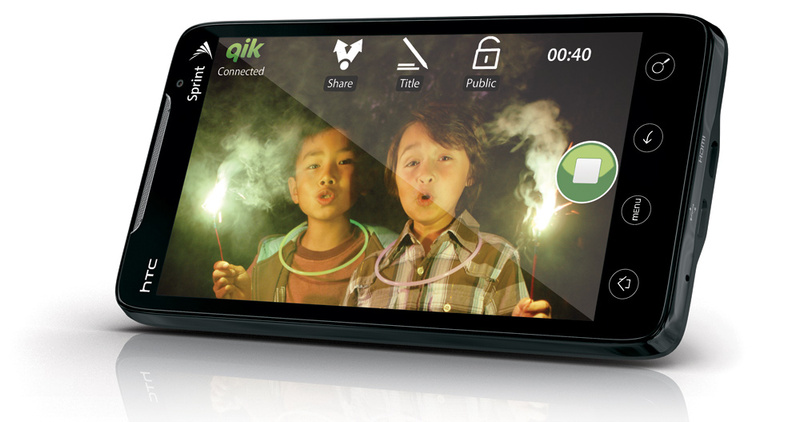 Sprint’s game-changing EVO 4G is once again news as it’s beating competitors to the market. While Motorola’s CEO claimed the Droid X would get a Froyo v2.2 update “later this summer,” HTC has now clearly beat them to it. I’ll definitely be posting a few notes regarding my experience with Froyo v2.2 on the HTC EVO shortly, so stay tuned for more updates. To stay updated, feel free to like us on Facebook or follow us on Twitter. Update (7/30): Sprint just published further information regarding new features in the coming update.